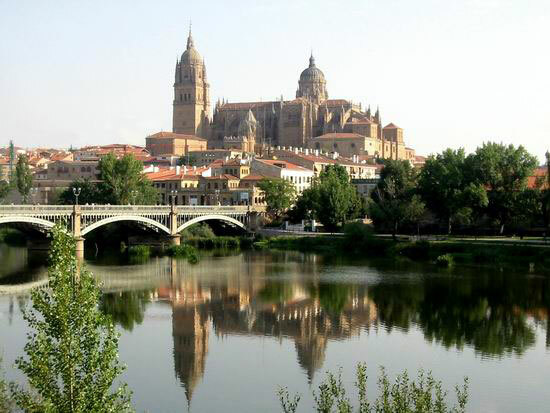 Salamanca is the university city by excellence, known in the whole world for this and for its artistic richness: cathedrals, palaces, churches... of artistic styles such as romanesque, gothic, plateresque y barroque. Situated on the banks of the river Tormes, its geographical extensión is 12.336 Km², and It currently has 159.000 inhabitants. Throughout its long existence, Salamanca, has borne witness to some of the most important events in Spanish history. Pre-Roman remains have been found in the Teso de San Vicente , a ridge overlooking the River Tormes, and at the end of the Roman bridge there is a 'verraco', an Iberian statue representing a bull. Numerous inscriptions have aldo been uncovered in the city walls, and there are still traces of the Calzada de la Plata (Silver Route) which passed though Salamanca from Mérida to Astorga. The city was besieged by Hannibal around 220 BC, and from about 50 BC, became part of the Roman province of Lusitania. Little information remains from the Visigothic era, and between 6th and 10th centuries AD Salamanca found itself in the heart of no-man's land between the Christian and Islamic kingdom, changing hands several times before it was definitively re-conquered by the great pro-European king, Alfonso VI. In 1096, he handed responsibility for the repopulation of the city to his son-in-law, Count Raimundo de Borgoña, who subsequently granted Salamanca its first municipal charter. In 1200 Alfonso IX founded what was to become the University of Salamanca some eighteen years later. So, in many ways, the city owes its fame and prosperity to him. The new University soon received recognition from Kings Fernando el Santo (The Saint) and Alfonso X el Sabio (the Wise), establishing the number and type of professorships that should make up the University structure. 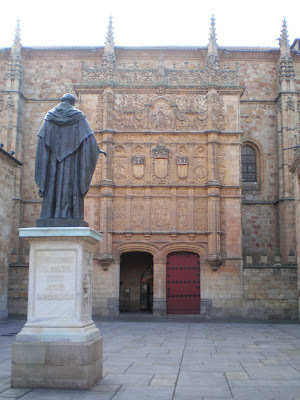 Already, by 1254, Pope Alexander IV had dubbed the University of Salamanca “one of the four leading lights of the world”.